Good news for MINI vehicle owners with a short attention span for regular radio: Pandora is coming to the MINI Connected infotainment system sometime in the near future. 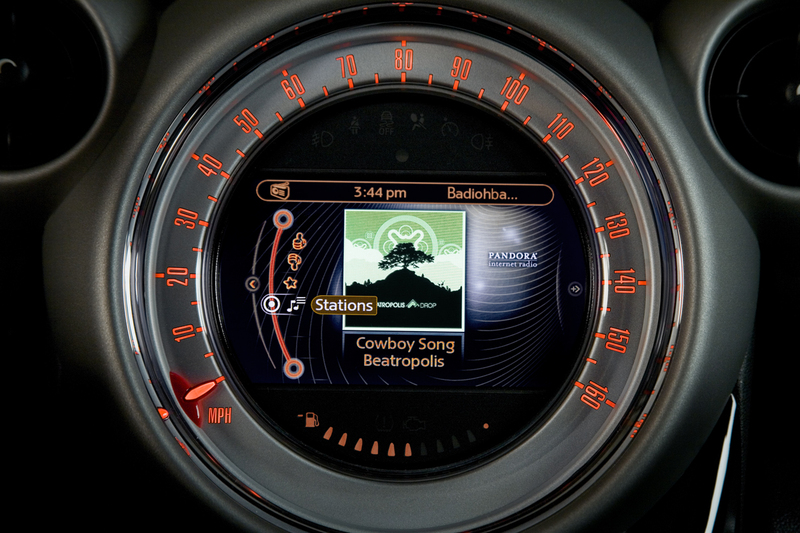 Once MINI has finished integrating Pandora into its existing infotainment system, all owners of 2011 MINIs will be able to stream existing Pandora stations, create new stations, and check out high-resolution color album art. No word on when Pandora will make it to the MINI, but the iPhone-linked infotainment system already features a number of apps, including Web Radio, News, Twitter, Google Send to Car and Google Local Search. All changes to MINI apps are automatically updated through Apple’s app store. Pandora will also be available in Toyota’s Entune multimedia system.